UMYU IJMB and Pre-Degree School Fees – See the amount payable as school fees by all the newly admitted candidates into the Umaru Musa Yar’adua University (UMYU), Katsina, School of Pre-Degree and Remedial Studies (SPRS) programmes for the 2018/2019 academic session. 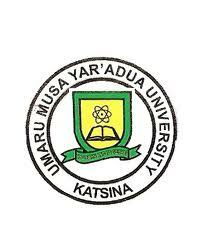 The management of the Umaru Musa Yar’adua University, Katsina, School of Pre-Degree and Remedial Studies (SPRS), has released the amount payable as school fees by the newly admitted candidates for the 2018/2019 academic session. UMYU Pre-Degree School Fees Schedule. UMYU IJMB School Fees Schedule.